Amanda St John is a soulful singer-songwriter from Co.Antrim. 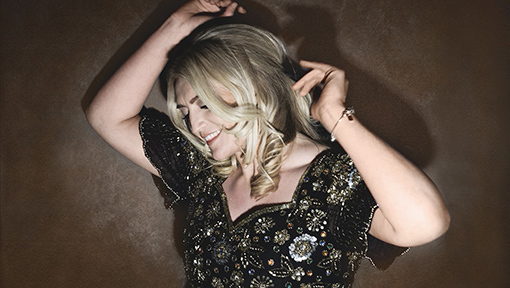 She is a mainstay on the Northern Ireland radio, festival and gig circuit and has been receiving rave reviews and international airplay from her debut album 'Grow' which was released in May 2016. Her songs are soul and blues inspired with a modern, commercial edge. Her album includes collaborations with David Lyttle (MOBO nominated Jazz musician) and Jon Tiven (Nashville writer/producer who has worked with BB King, Wilson Pickett, Van Morrison and The Rolling Stones etc...). Having also worked with some of Ireland's most talented musicians including Duke Special, Brian Kennedy, Mary Coughlan, Bap Kennedy and Ciaran Gribbin (of INXS) Amanda has made quite a name for herself since her first release in 2014. Backed by a 5 piece band and renowned for her engaging stage presence and live performances this; her first headline gig in Galway is not to be missed. For fans of: Dusty Springfield, Caro Emerald, Imelda May, Paloma Faith, Etta James.